New Delhi : Cardinal Baselios Cleemis, President of the Catholic Bishops’ Conference of India (CBCI), visited Satna, in M.P. where police detained a group of Catholic carol singers who were harassed and manhandled by a group of right wing Hindu activists, falsely accusing them of involving in religious conversion. The police took into custody even a group of other priests who had gone to the police station later only to enquire about the group that had been detained for merely singing Christmas carols which is a customary practice during Christmas season anywhere in the world and had been a practice even in this very village since 1992. The right wing activists even torched their vehicle and surrounded the police station while the police just watched. 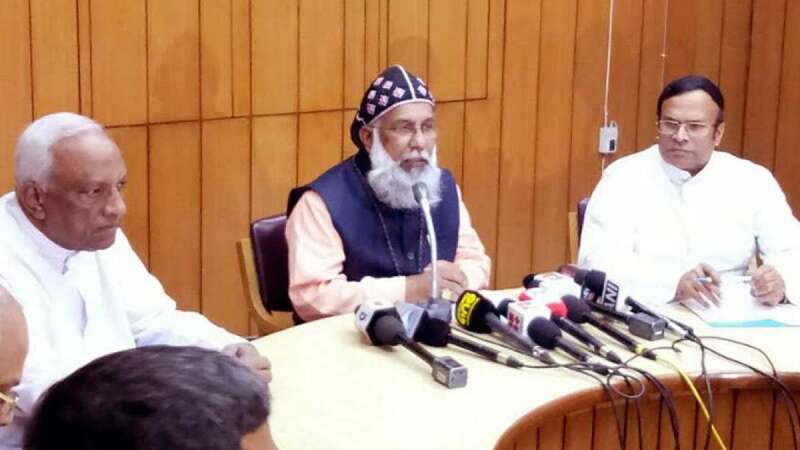 Cardinal Cleemis called on the Civil and Police authorities at Satna and enquired about the incident from the harassed seminarians and priests of St. Ephrem’s Theological College, Satna, who had gone through such a traumatic experience of violence and intimidation through no fault of their own. From Satna, Cardinal Cleemis came to New Delhi and called on the Home Minister Shri Rajnath Singh and briefed him about the incident and conveyed to him the anxiety and anguish of the Christian community following the intimidation and threats by the above mentioned right wing group, as such incidents have been on the increase and a sense of fear was prevailing among the minority community and sought the Minister’s intervention in the matter. Cardinal Cleemis also referred to letters issued to Christian schools in Aligar region by the right wing activists threatening them not to celebrate Christmas. The Home Minister who was already aware of the incident assured the Cardinal that he would immediately look into the matter and ensure the safety of the carol singers and the priests and take immediate steps to reassure the community that they are safe and free from any intimidatiion and fear.